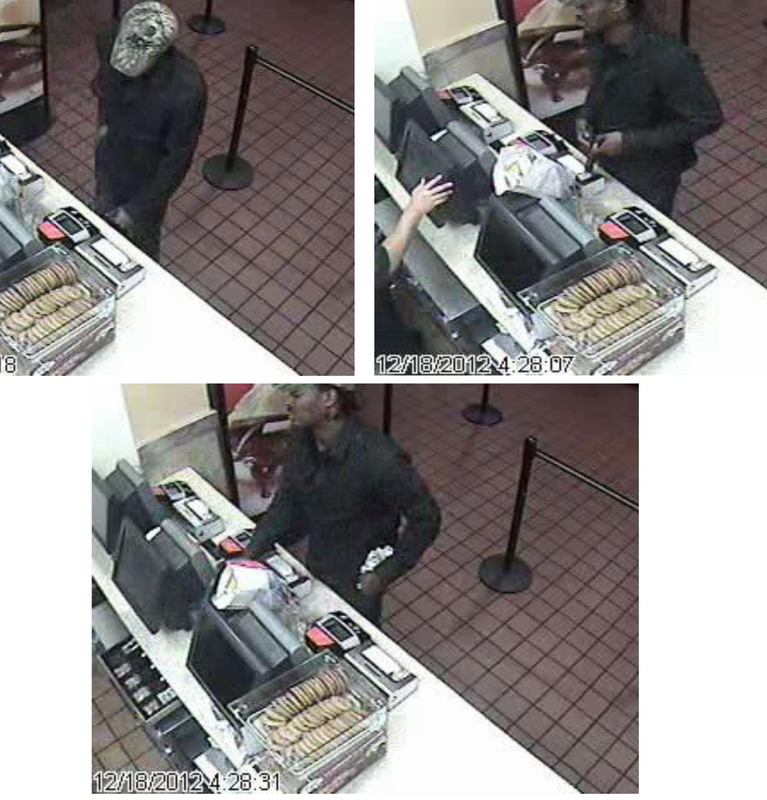 On December 18th, 2012, at 4:27 am, an armed robbery occurred at the McDonalds located in the 1400 block of Greenview Shores Blvd, Wellington. The suspect is described as a black male approximately 6’0”- 6”02”, 170 lbs., with short dreads, armed with a black semi-automatic handgun with a brown grip. He was wearing a black long sleeve shirt, black jeans, and a camouflage colored baseball hat with the word Ace on the front. He was seen leaving in a black SUV style vehicle.